The first post of 2018 feels like the first page in a new diary - exciting to start. I had a real blogger blip towards the end of last year when I really felt that I didn't have time for this space anymore; I wasn't enjoying writing, I continually compared myself to others and came up short, and I definitely felt like no one was reading. I think I have to accept that blogging is different now from what it was in 2009 (and before) and even though I don't get the comments on each post that I used to, I don't think that means no one's reading (I hope!) and even if no one is, it'll be nice to look back on the clothes I liked to wear, the beauty products I liked to use, and so on! On that note: how lovely to start the new year with some new things to wear. 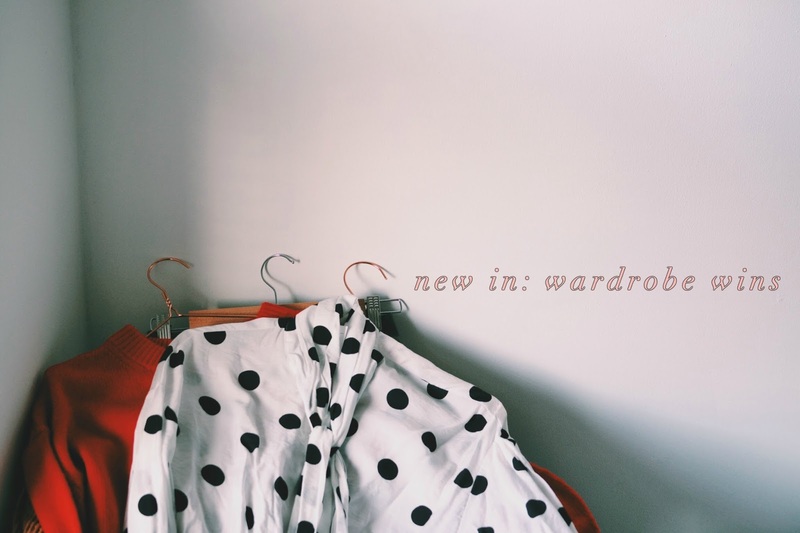 I have a dedicated post coming up but I wanted to showcase a few of the bits and pieces I've added to my wardrobe lately. I have had a bit of a clear out too, and if you follow me on Depop (@amieisdancing) you'll be able to shop the pieces that didn't get the wear I'd hoped they would in 2017. I also got a brilliant book for Christmas which I can't wait to get stuck into - I think Dame Vivienne would appreciate my attempts to reduce the environmental impact my fashion consumption has, and I am looking forward to reading all about her life and the development of her label. Hope the first day of 2018 is a good one for you!